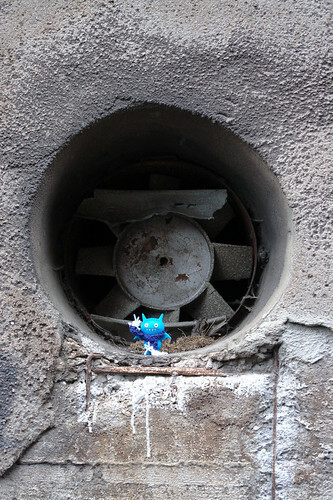 Uglyworld #22 - Icebat and The Ventilation Shaft, originally uploaded by www.bazpics.com. With Icebat suffering from a bit of a cold he was always dodging in and out of cover as the rain would start and stop. In this case he found himself an old ventilation shaft to seek refuge from the wet stuff inside of.